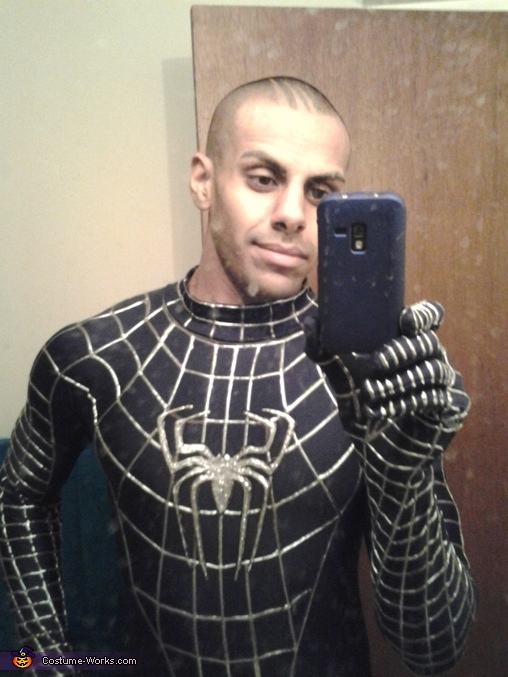 in the the photos its me who's wearing the costume, i used fabric paint on the spandex to make the webs look shine. umm... it's VENOM not black spiderman. unless it's a pun...... but still..
What type of fabric paint did you use? Can you give me the brand name and colour please. When you bought this costume were the eye pieces chrome already? Or did you change them to this?? I changed them, you can check some videos on YouTube on how to make a spider-man costume!! there is a black spider man not just venom idiot wow! you can lookup some videos on how to make a Spiderman costume on YouTube, its cheep and easy!!! Looks great. Where did you get this outfit from?